Just in time for summer grilling season, Hi Mountain Seasonings announces its latest blend, the new Brisket & Prime Rib Rub. The official start of summer and grilling season is finally here, and Hi Mountain Seasonings is ushering it in with the new Brisket & Prime Rib Rub. Peppery and infused with a special blend of herbs and seasonings, Brisket & Prime Rib Rub is bursting with bold Western flavor to bring out the natural flavors of your brisket, prime rib and ribeyes. This authentic Wyoming recipe also captures and enhances the flavors of wild game, pork and chicken. Rubs are easy to use for just about anybody who can cook meat; from novice cooks to grilling dads to serious culinary specialists. Just sprinkle on both sides of the meat 30 minutes before grilling, roasting or pan-frying. For a fuller flavor, just add more rub, or gently massage the rub into the meat and let it sit for several hours up to a few days before firing up the grill. Brisket & Prime Rib Rub will add more than just a crusty texture and a little flavor to your dish, it will transform the natural flavors of the meat to wake up your taste buds like nothing before. The new Brisket & Prime Rib Rub can be found at high-end sporting goods stores, farm-and-ranch stores and many local grocery stores. It can also be ordered online at www.himtnjerky.com. The suggested retail price is $8.99 for a 10.5 oz. shaker. The new Brisket & Prime Rib Rub joins Hi Mountain’s immensely popular line of rubs: Venison Rub, Salmon Rub, Rib Rub, Poultry Rub, Steak Rub and Garlic Pepper Rub. Hi Mountain Rubs adhere to the moisture of the meat, so no oil is required, making them fat-free and a healthier alternative to many oil-laden marinades on the market. 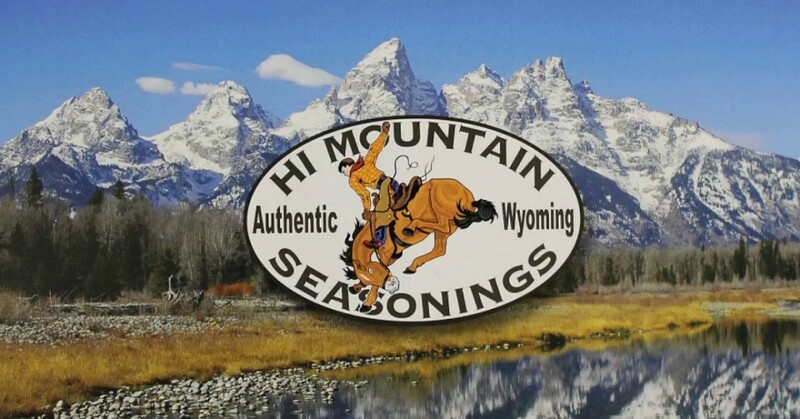 Located in the heart of Wyoming, Hi Mountain Seasonings was founded in 1991. It is the premier manufacturer of kits for homemade jerky and sausage. Hi Mountain Seasonings has successfully captured distinct, traditional Western flavors in its jerky cure and seasonings, Western-style seasonings, bacon cures and other products that make up the unique line of gourmet Western seasonings. For additional information, visit www.himtnjerky.com.